The aim of this study was to present our experiences with, as well as the factors that affect, the treatment and outcome of patients with neonatal gastrointestinal perforations (GIPs). Thirty-eight newborn cases that were operated on for GIP in our hospital’s tertiary newborn intensive care unit between January 2005 and December 2015 were retrospectively evaluated. The patients were divided into the two following groups: group 1, perforations related to necrotizing enterocolitis (NEC), and group 2, non-NEC perforations. In total, 38 patients (16 males, 22 females) participated in this study. The perforations were related to NEC in 12 patients (group 1; 31.6 %), and the other 26 patients (group 2; 68.4 %) were classified as non-NEC perforation cases. The incidence of neonatal GIP was 0.53 % in all newborn patients, while the incidence of perforation in NEC cases was 20 %. Of all patients, 25 (65.7 %) were premature. Non-NEC pathologies were the most common cause of GIP (68.4 %) and included stomach perforation related to a nasogastric catheter (n = 5), volvulus (n = 4), intestinal atresia (n = 3), esophageal atresia and tracheoesophageal fistula (n = 2), cystic fibrosis (n = 2), Hirschprung’s disease (n = 2), appendicitis (n = 2), congenital stomach anterior wall weakness (n = 1), duplication cyst (n = 1), invagination (n = 1), incarcerated inguinal hernia (n = 1), and idiopathic causes (n = 2). Primary surgical repair was performed in all cases without a conservative approach. The mortality rate related to GIP in newborn cases was 47.3 %. While the mortality rate in group 1 was 66.6 %, it was statistically insignificantly lower in group 2 (38.4 %) (p > 0.05). In group 1, the mortality rate of those with intestinal and colorectal perforations was 45.6 and 20 %, respectively (p > 0.05). Non-NEC pathologies are the most frequent causes of GIP in newborns, and primary surgical repair is the primary treatment choice for neonatal GIP. However, GIP remains one of the most significant causes of mortality in newborns. 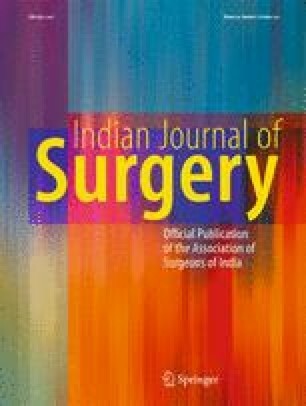 While the prognosis for neonatal colon perforation is good, that for stomach and jejunoileal perforations is worse. Formal and written informed consents were obtained from parents.